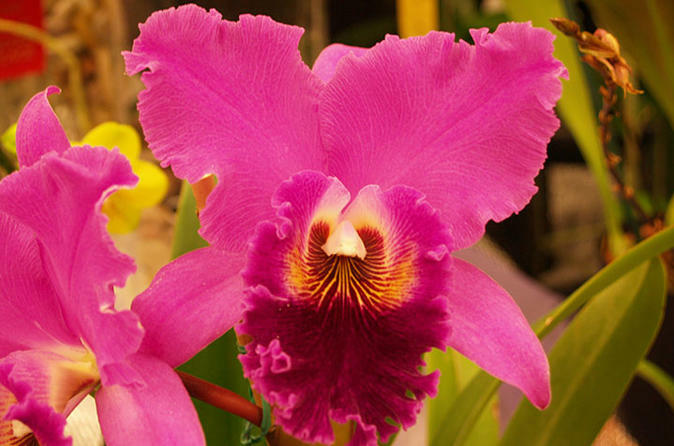 Enjoy this 4-Day tour of the Philadelphia Flower Show from Boston. Get inspired by great gardens and landscapes as well as thousands of plants and floral designs. The Show features large-scale gardens, elaborate landscapes, and over-the-top floral creations. There will also be a day of the tour dedicated to the historical sites of Philadelphia. This tour includes transportation by motor coach or Mercedes Sprinter, a professional guide, and some meals (per itinerary). On day one, you depart Boston at 8am and arrive in Philadelphia at 1:30pm where your coach will be waiting to transfer to the Holiday Inn Express. You have the choice of going to the Flower show or going to the Interactive Franklin Institute. At 6:00pm you will meet your fellow travelers for dinner. Then on the second day experience the Philadelphia International Flower Show. For 190 years, the Philadelphia International Flower Show has enthralled visitors from around the globe with stunning displays celebrating the beauty of plants and the art of gardening. Your one day admission to the largest Flower Show in the country is included. Celebrate 'Flower Power' at the 2019 Philadelphia Flower Show. Enjoy, learn and get inspired by great gardens and landscapes, as well as thousands of plants and floral designs. The hotel is so close you can come and go as you please to maximize your time at the show and the classes available. The Flower show will remain open until 9:00 PM with classes, lectures and displays. On the third morning, you'll visit the Constitution Center, the Liberty Bell Pavilion, Visitor Center, and Independence Hall. The Constitution Center is an interactive exhibit that will help you understand how our government works or does not work. At the Visitor Center you will see the story of the making of Patriot and the Liberty Bell Pavilion has all been redone. If you have not visited Philadelphia in a long time you will be impressed with the changes. Tonight you will be treated with a dinner at a local restaurant. On day four, before returning to the train station, you'll visit Longwood Garden’s one of the premiere gardens on the east coast. These gardens will delight people of all ages with water fountains, landscaped trails, greenhouses, formal gardens and so much more. Then you will return home in the early evening.